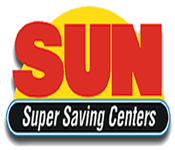 Sun Television was a specialty electronics retailer operating throughout the Midwest. The company stopped all operations in 1998 when it filed for chapter 11 bankruptcy and they attempted to sell their stores. However they were only succesfull in selling a few locations which were converted into other stores and the rest of their stores were closed.